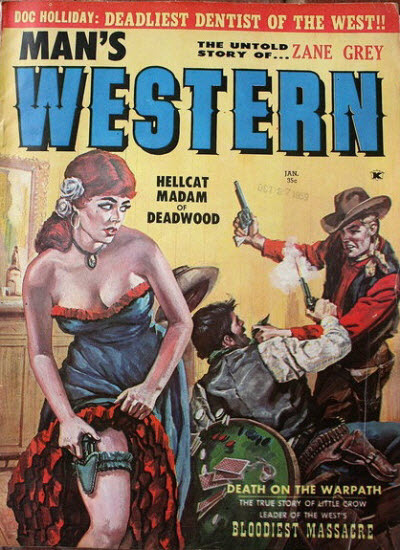 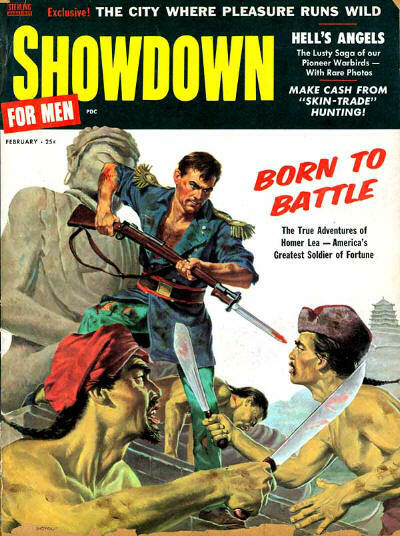 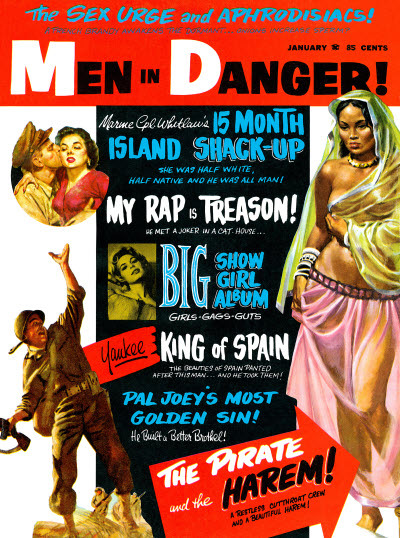 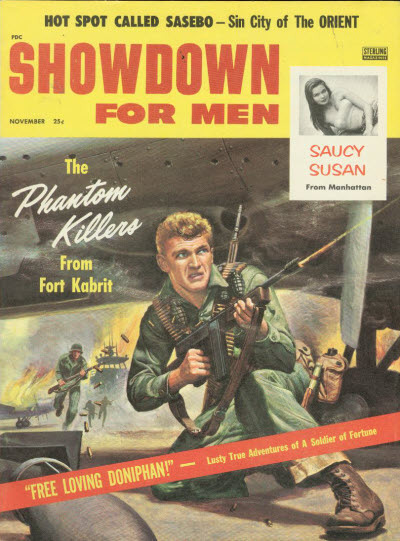 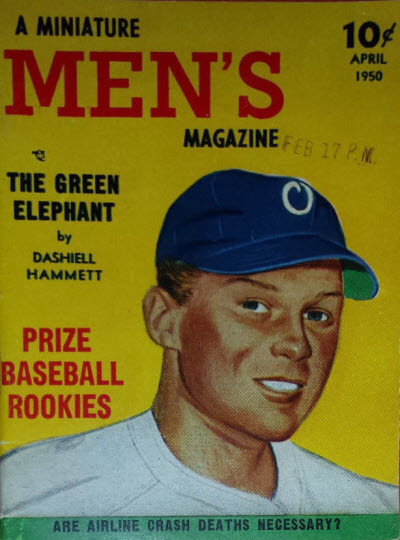 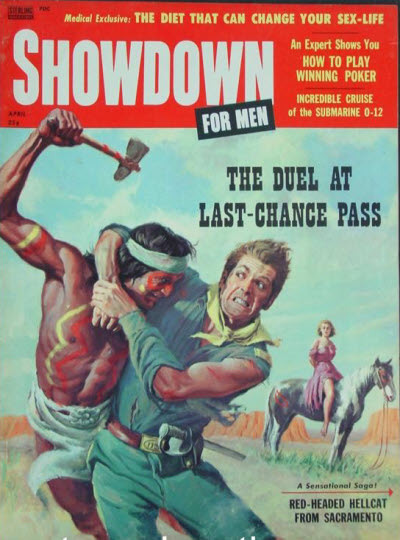 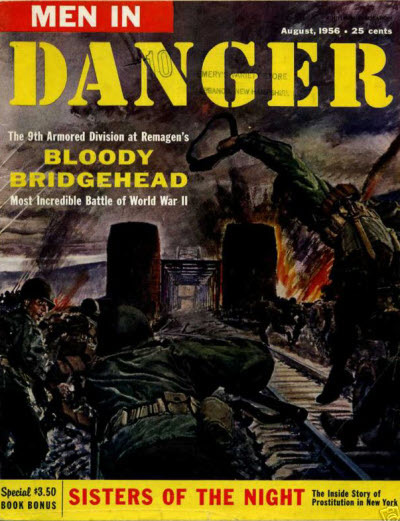 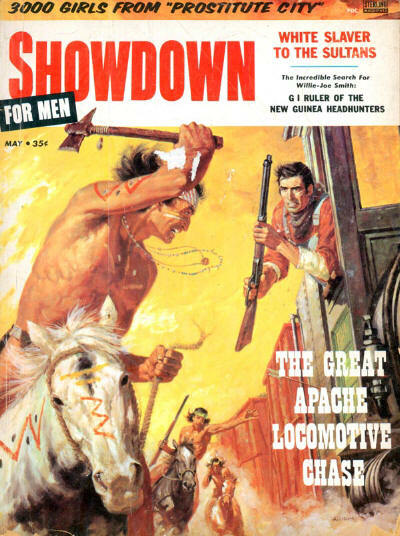 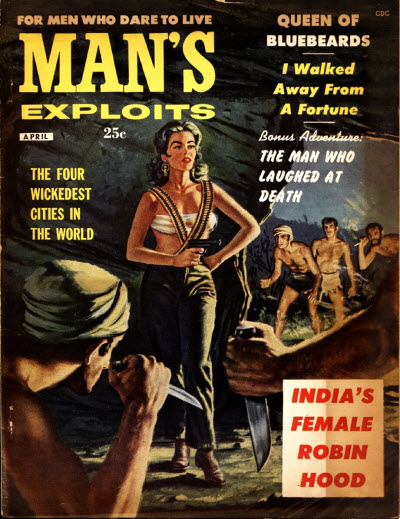 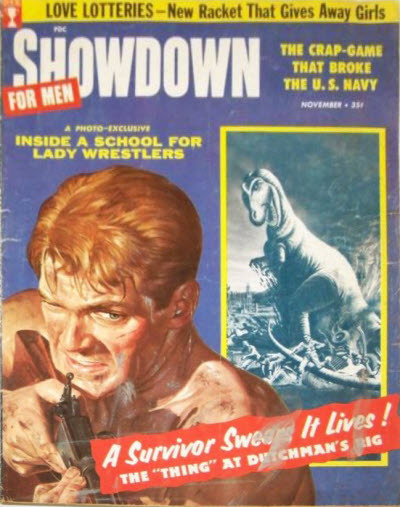 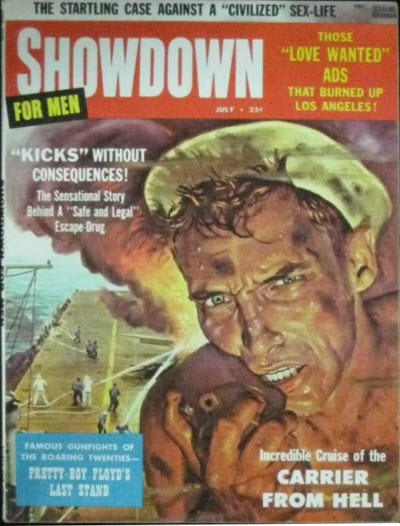 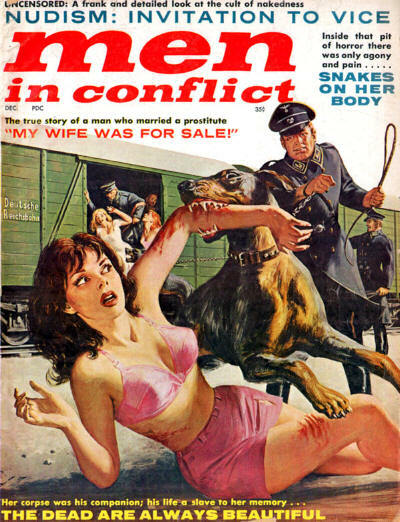 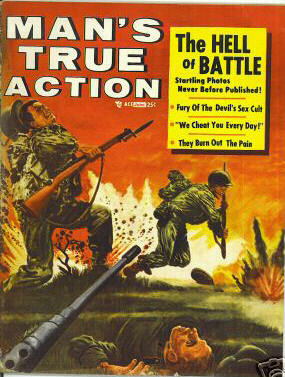 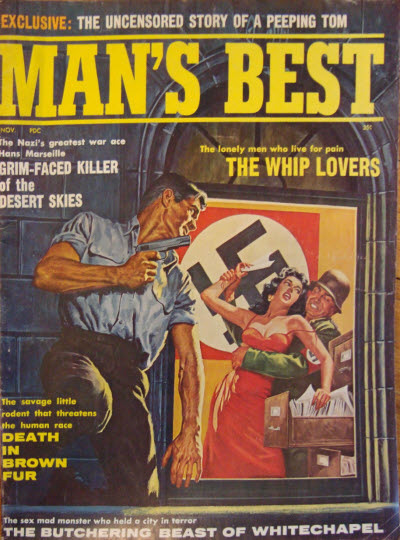 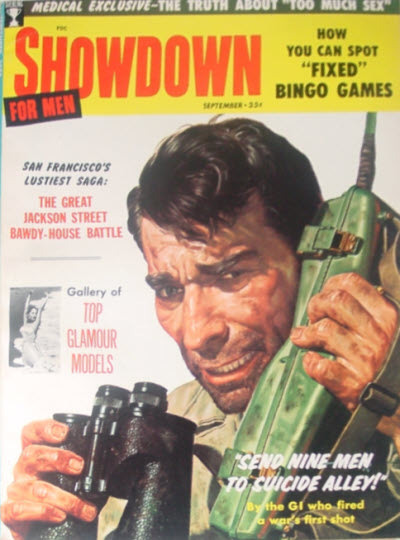 Title changed to Showdown for Men from Nov-1957. 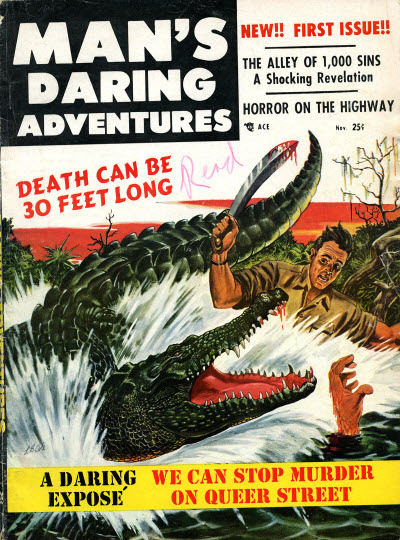 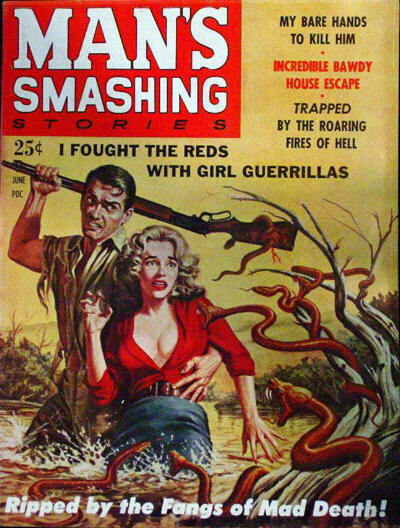 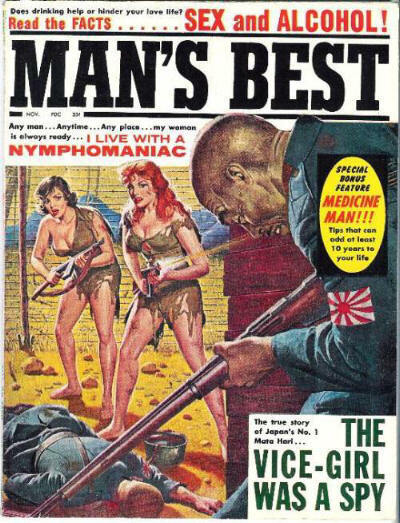 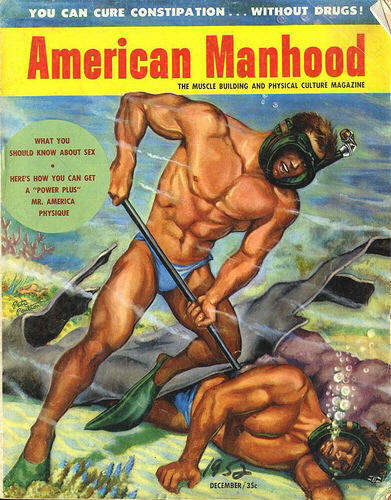 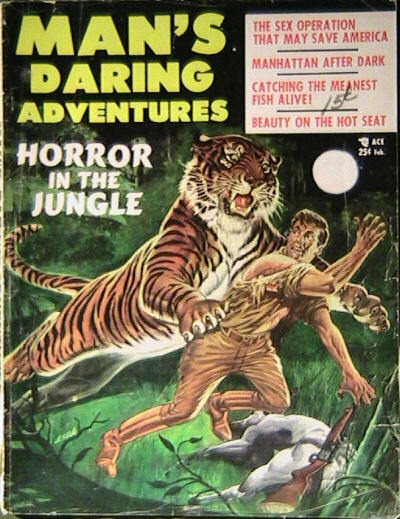 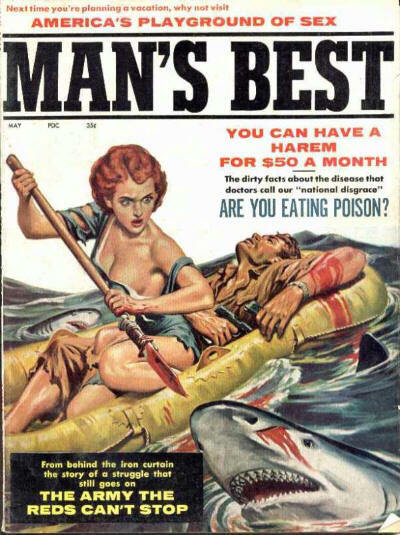 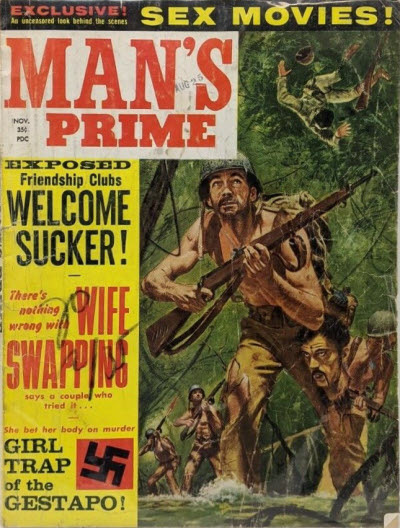 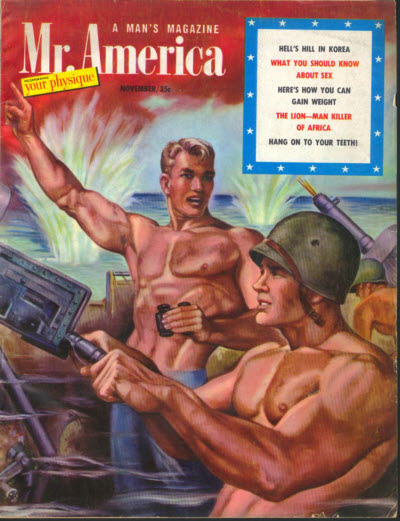 For most of it’s run, Mr. America was a bodybuilding and fitness magazine, but in August 1952 it changed to a men's adventure magazine. 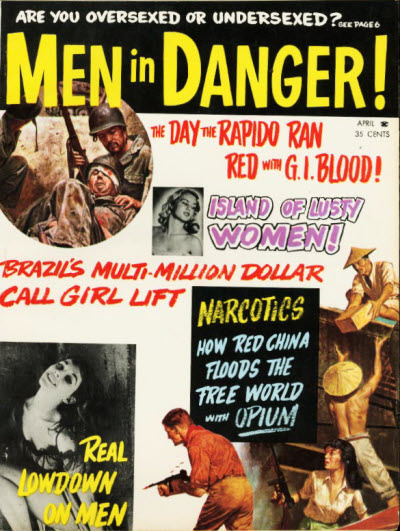 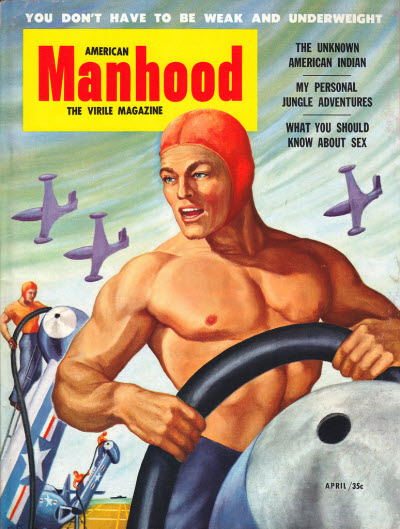 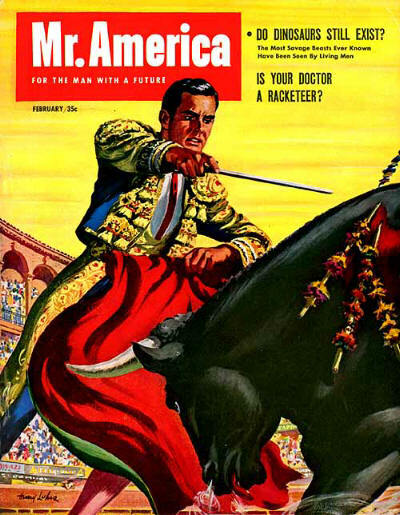 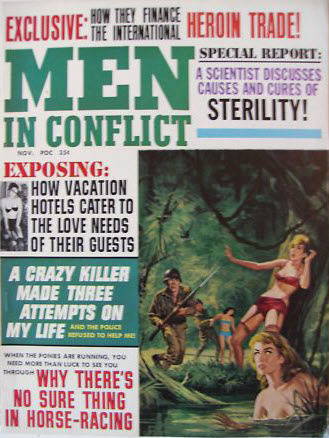 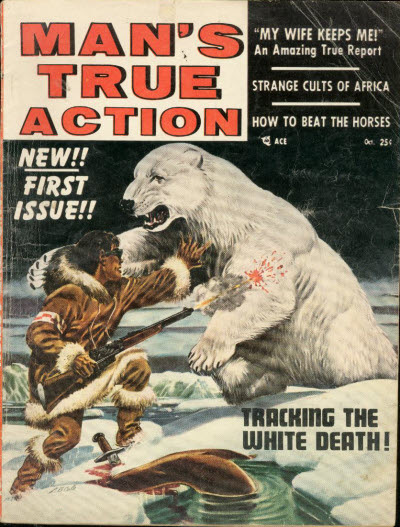 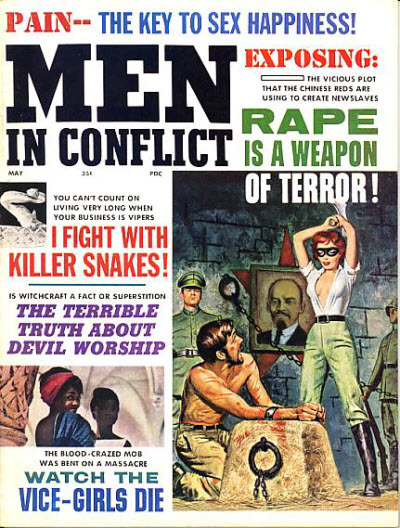 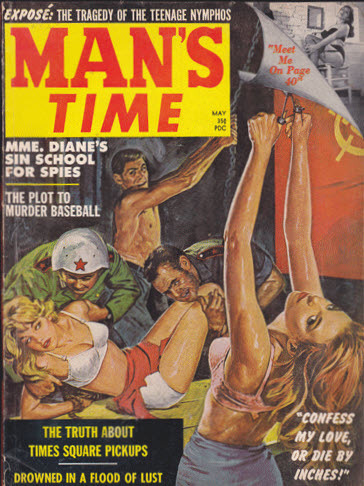 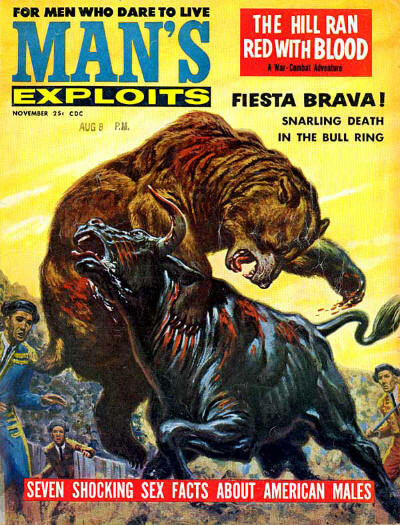 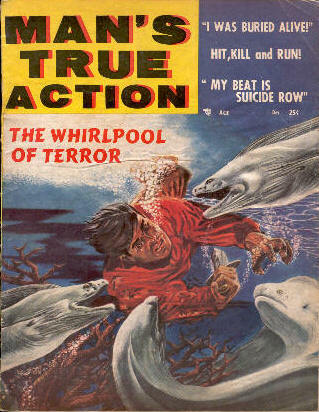 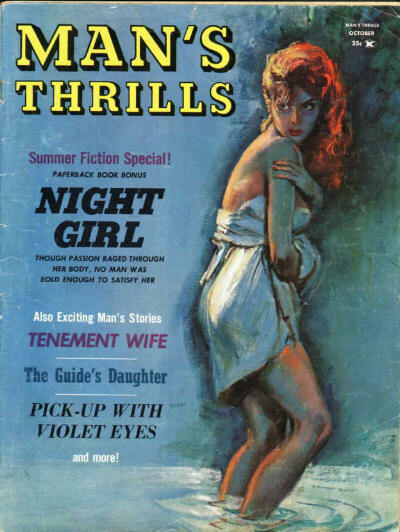 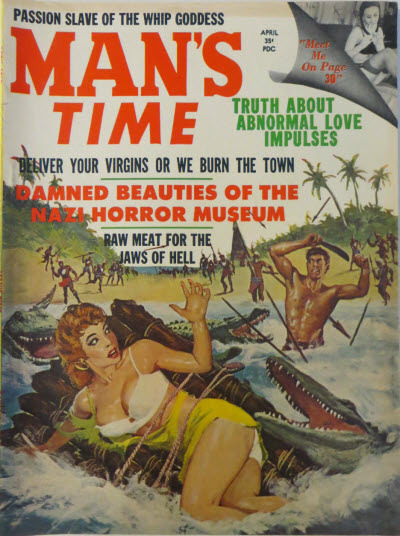 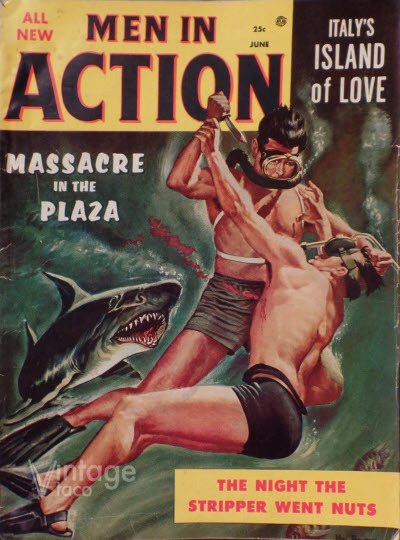 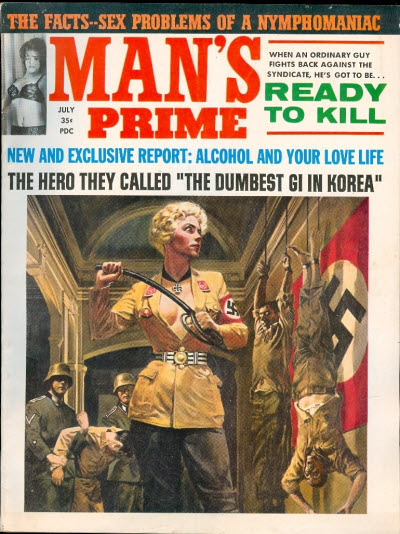 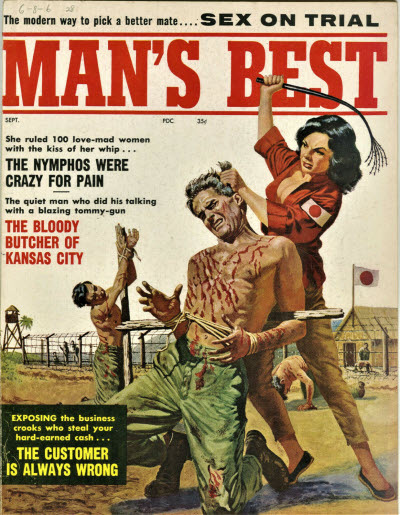 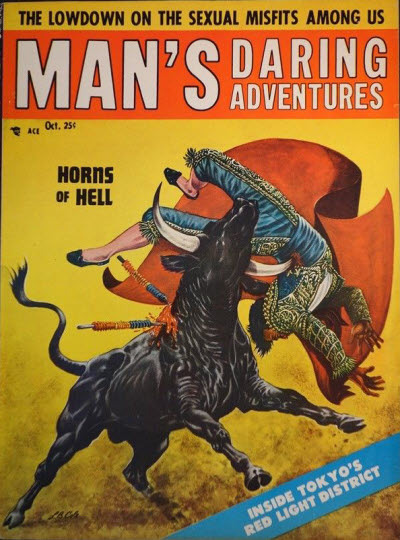 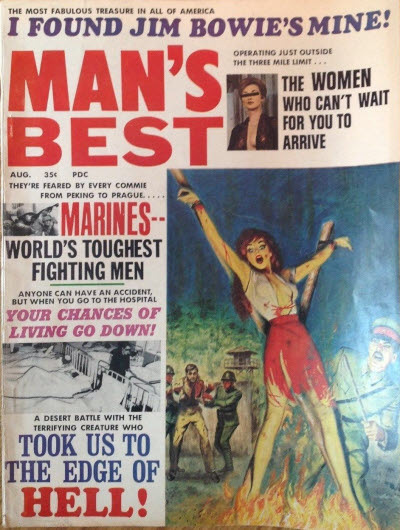 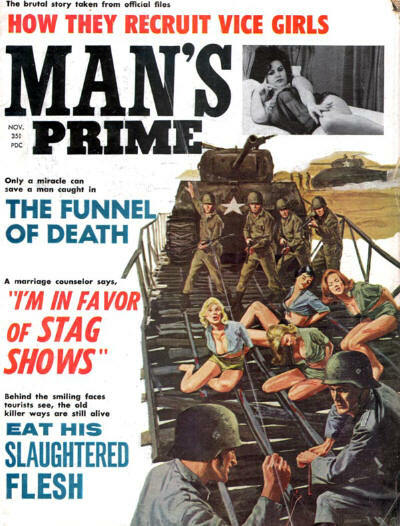 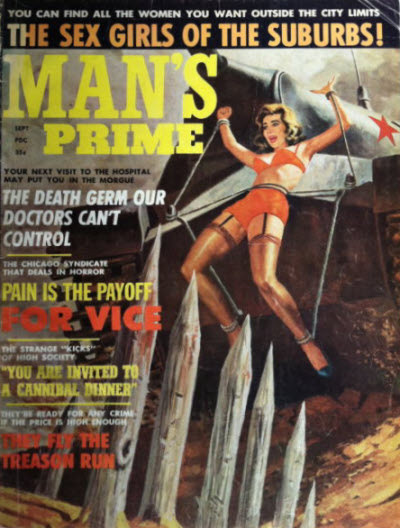 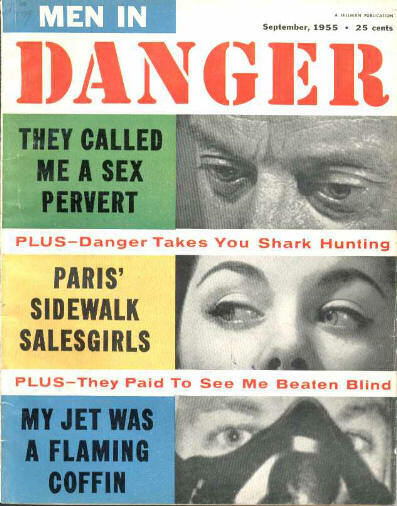 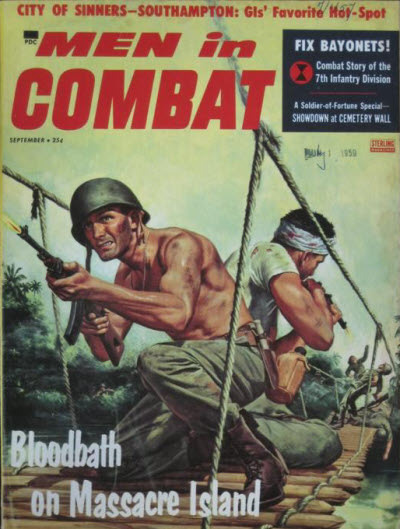 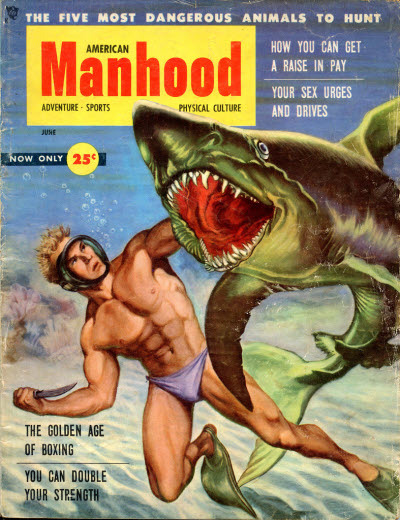 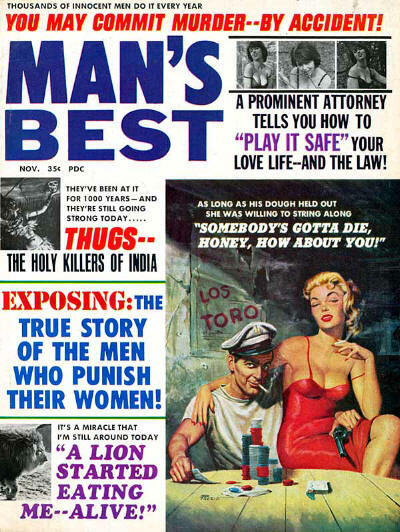 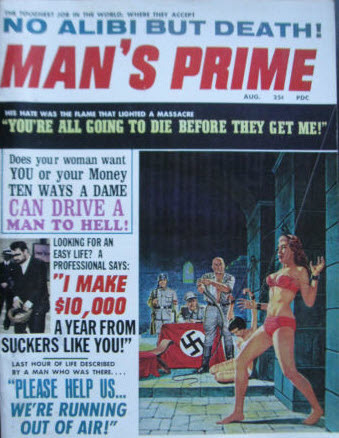 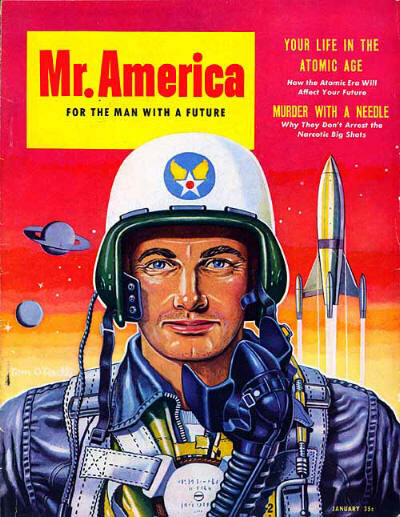 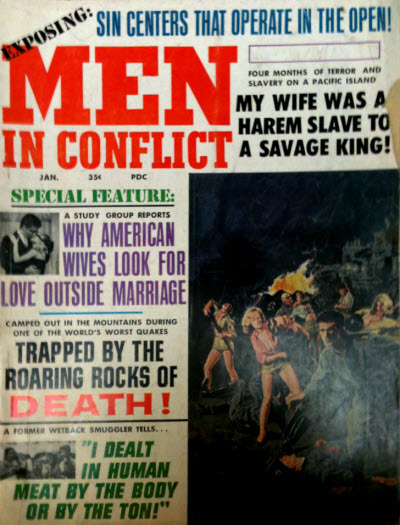 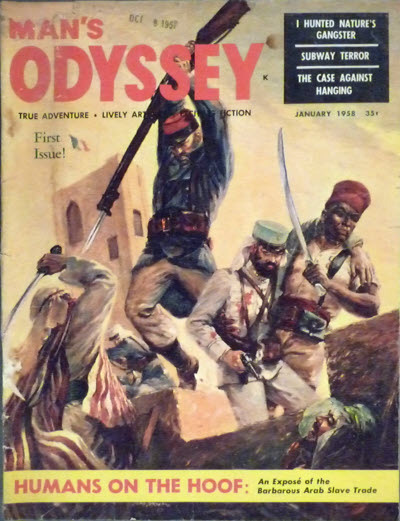 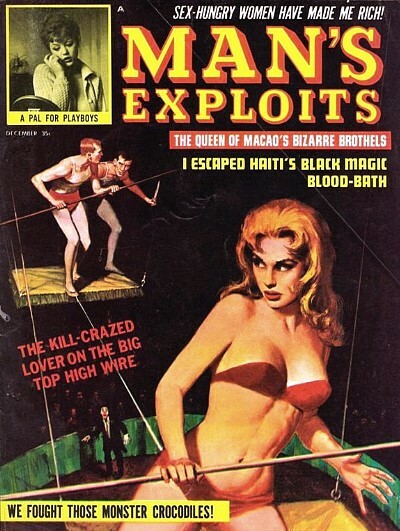 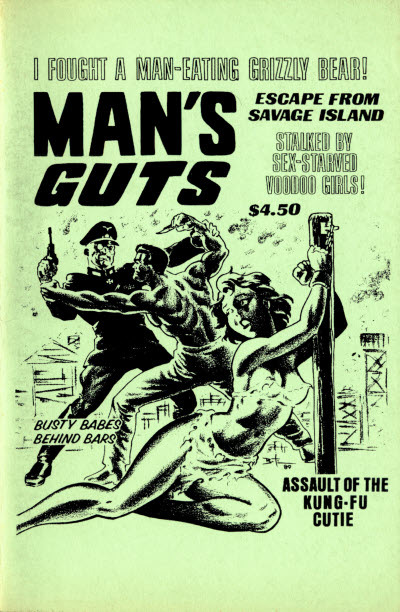 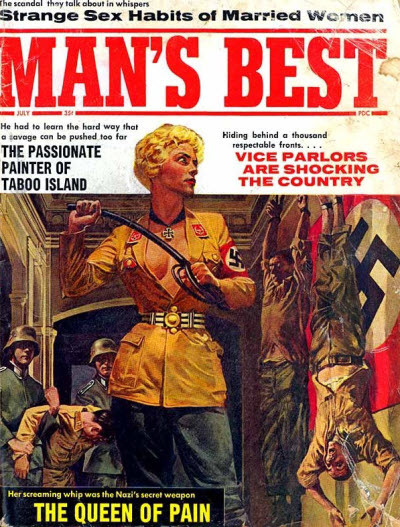 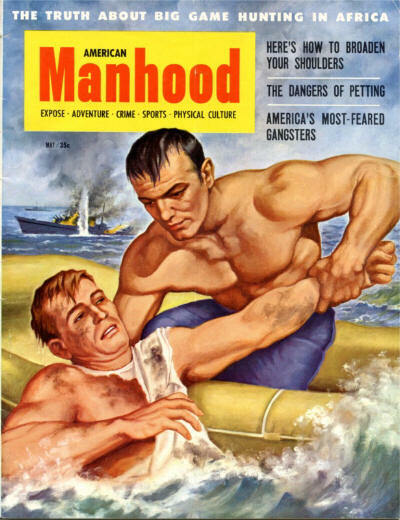 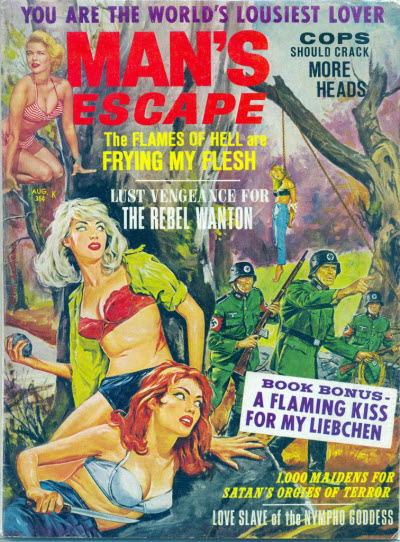 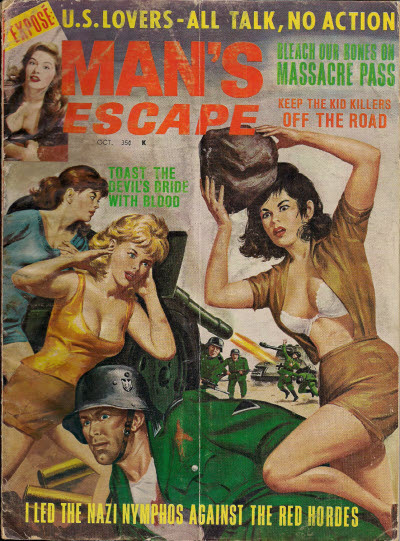 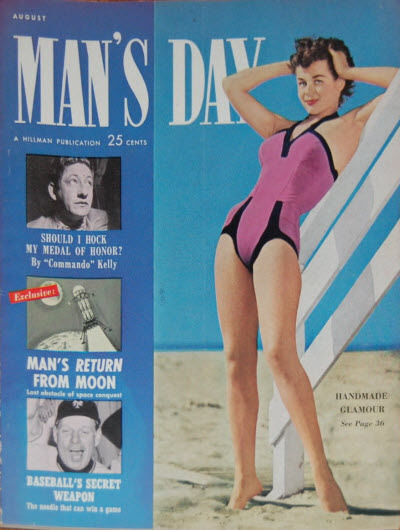 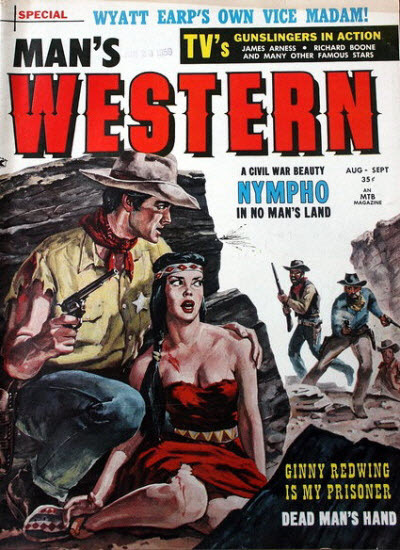 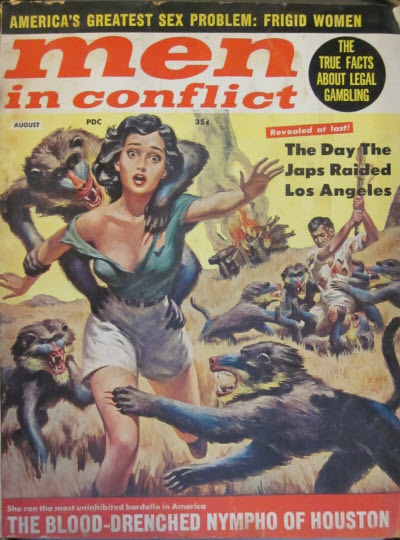 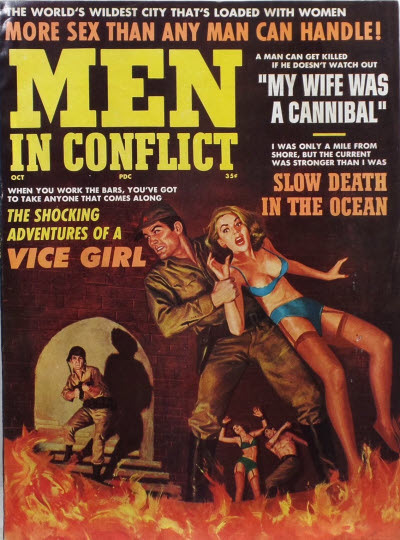 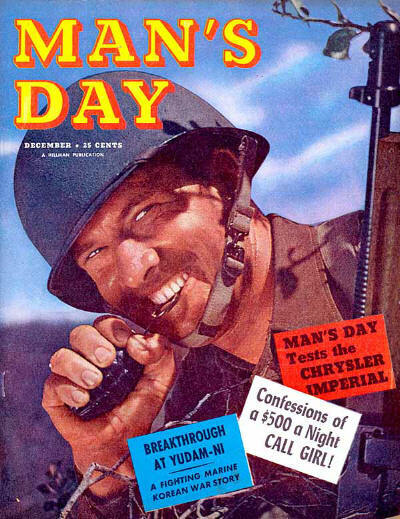 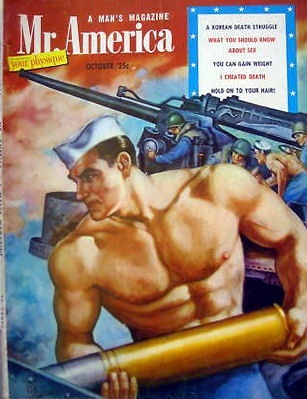 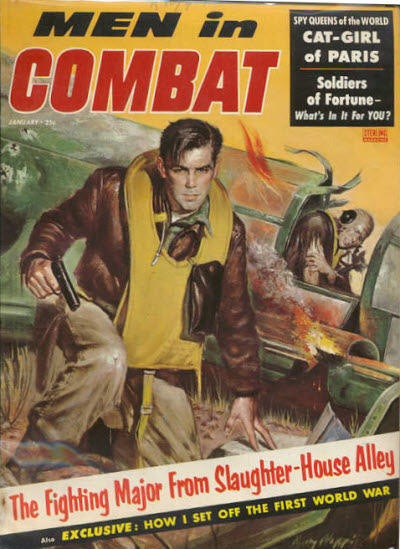 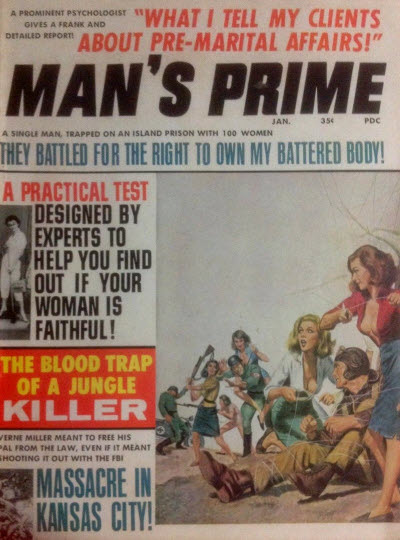 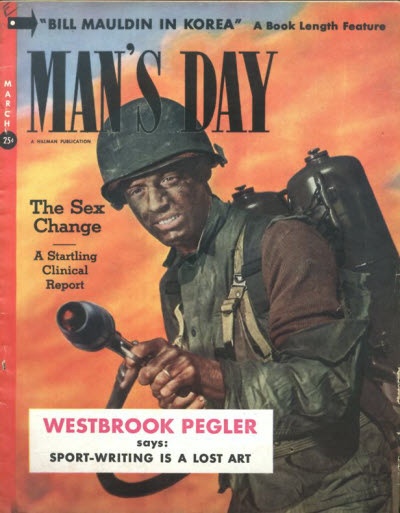 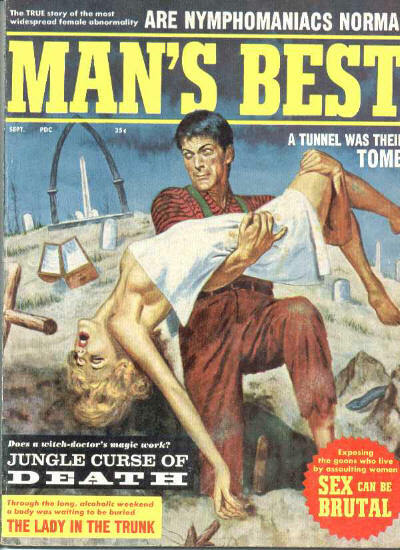 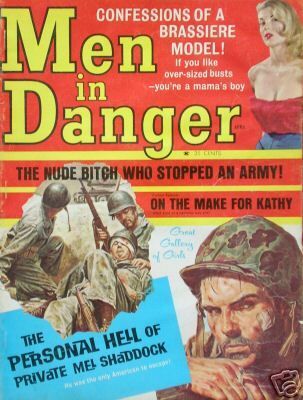 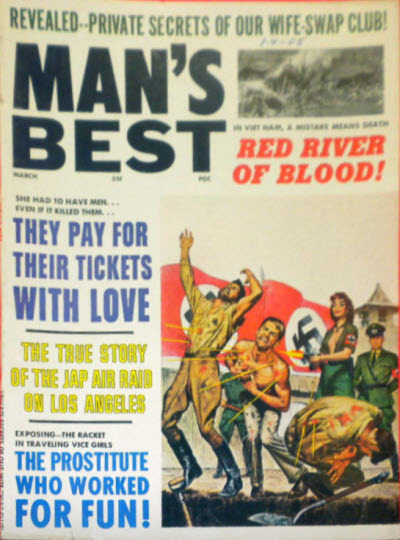 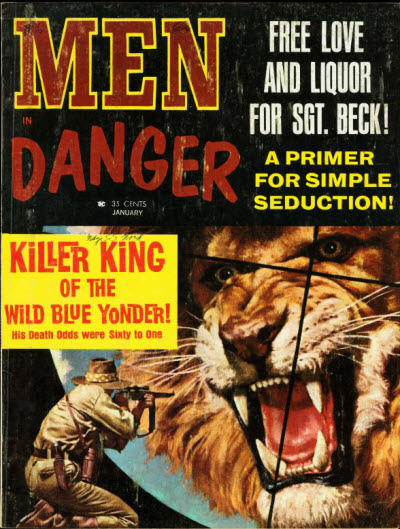 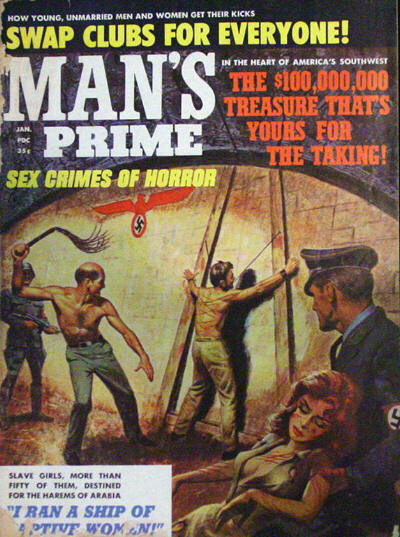 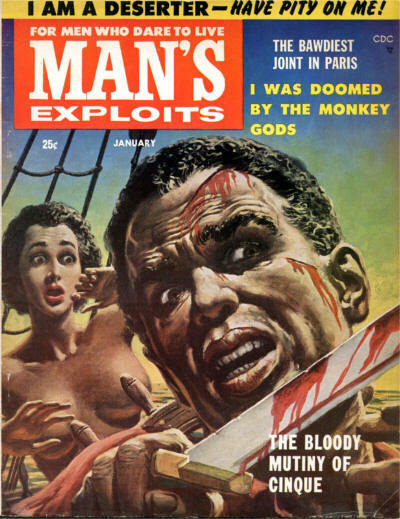 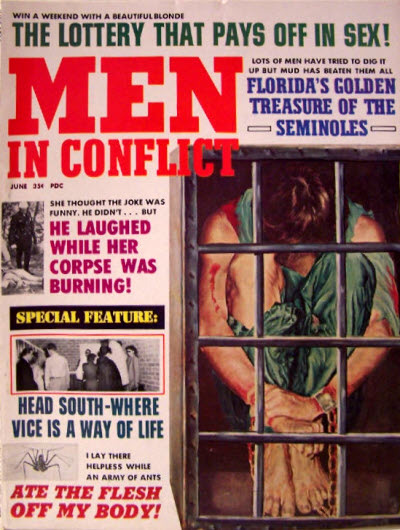 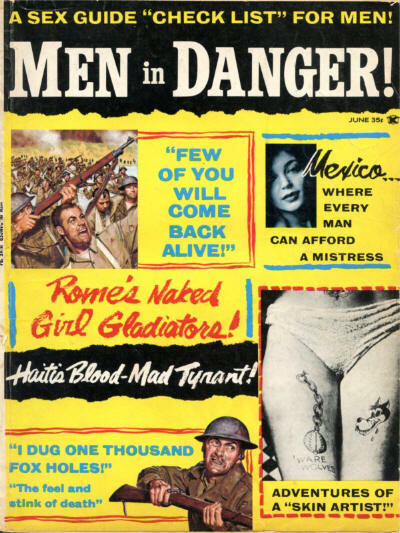 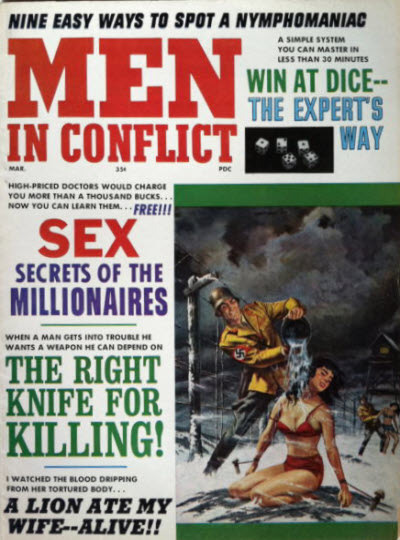 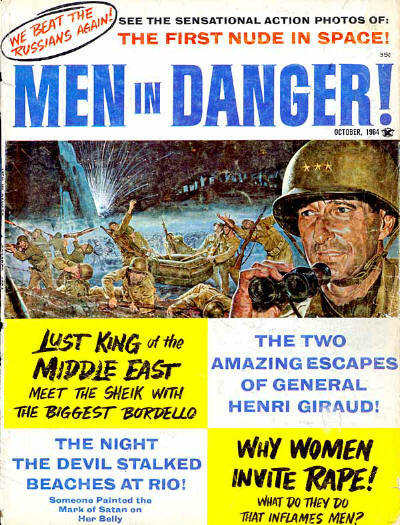 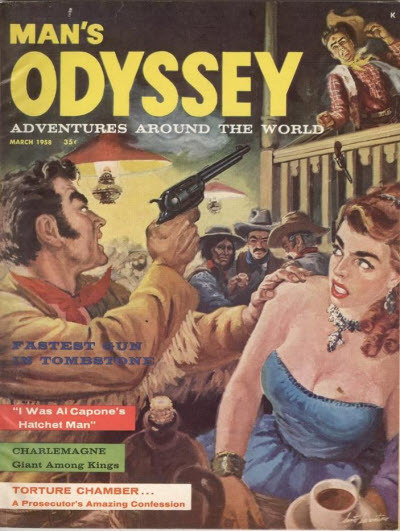 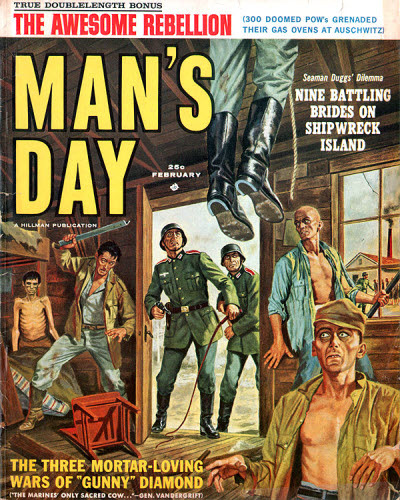 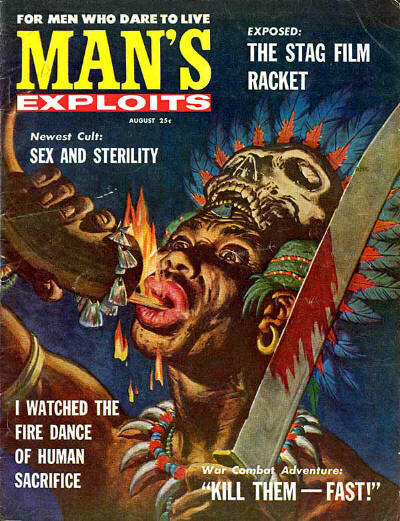 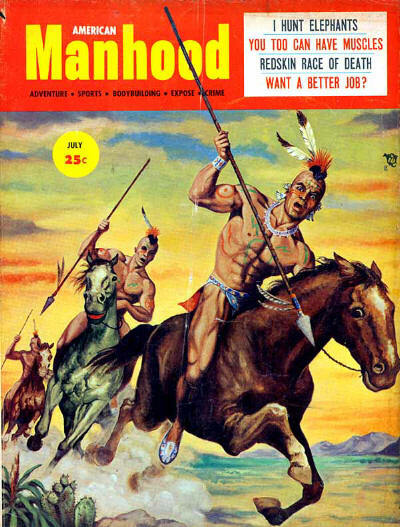 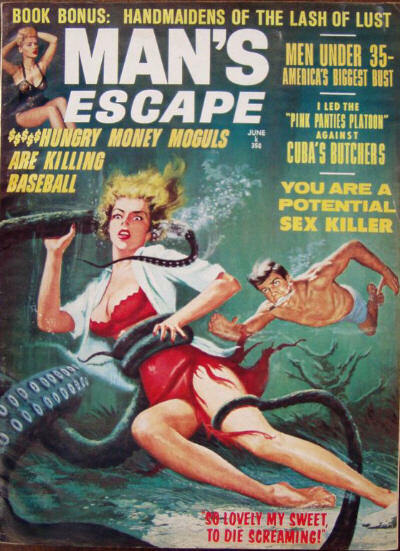 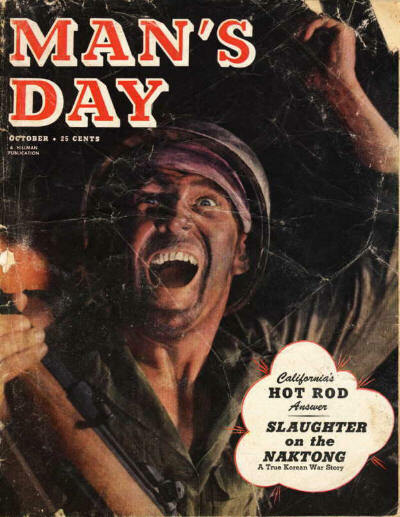 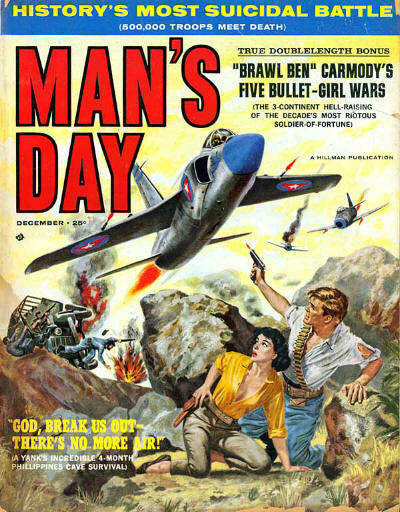 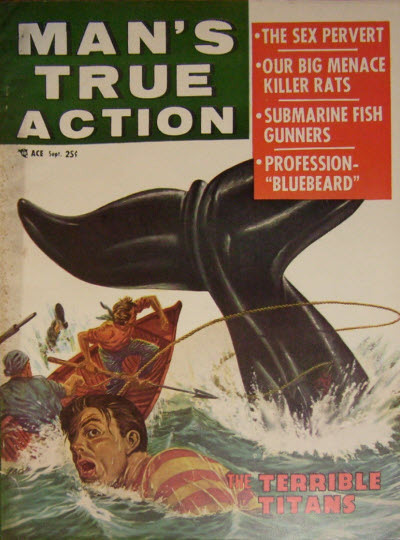 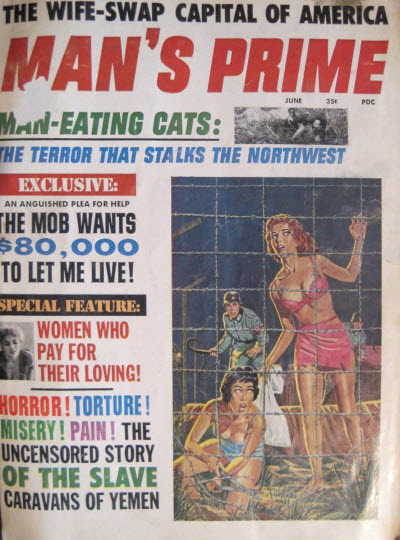 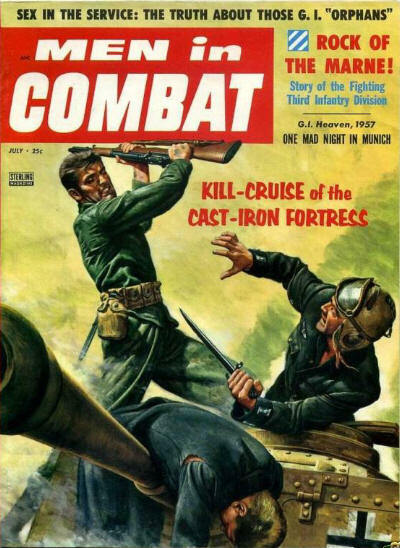 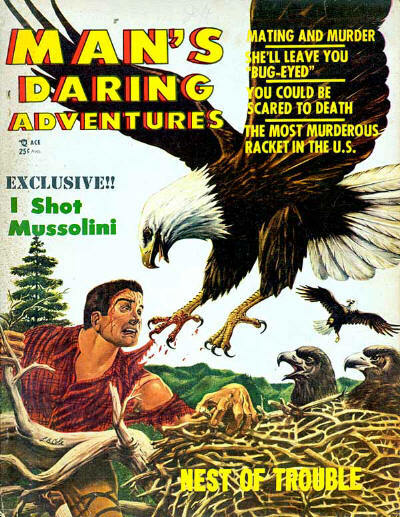 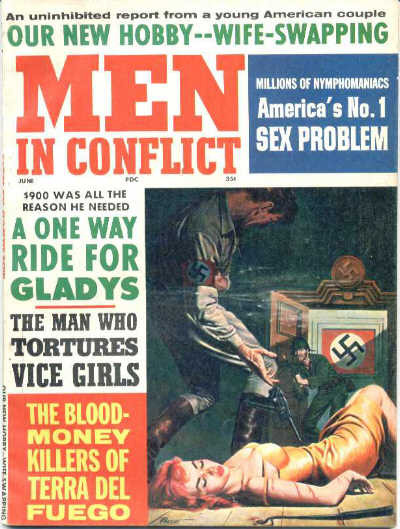 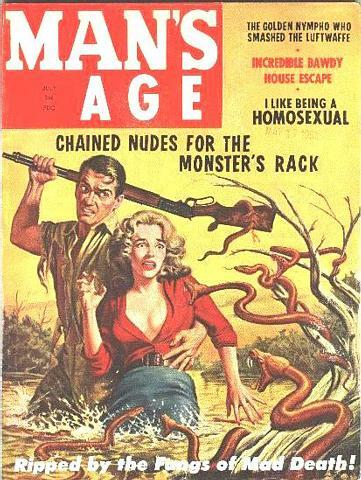 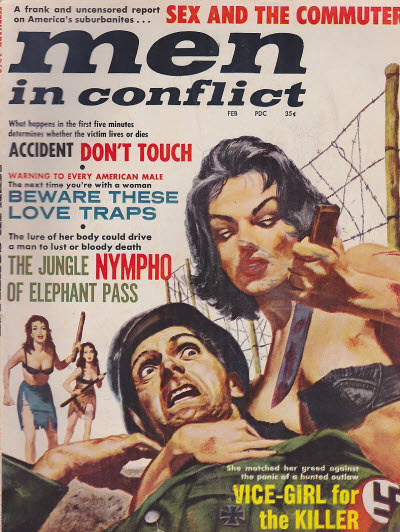 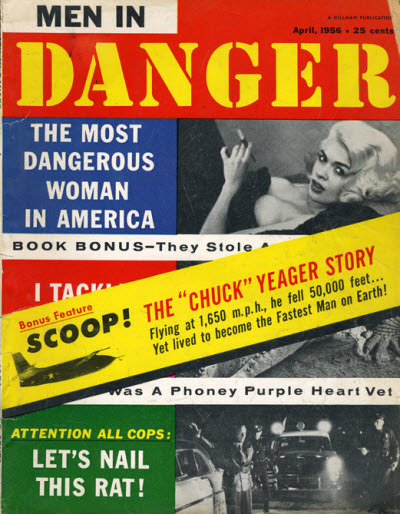 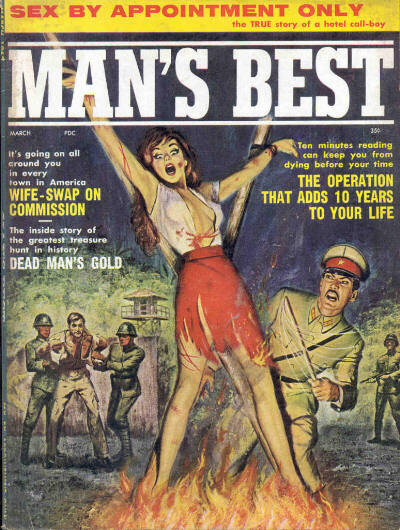 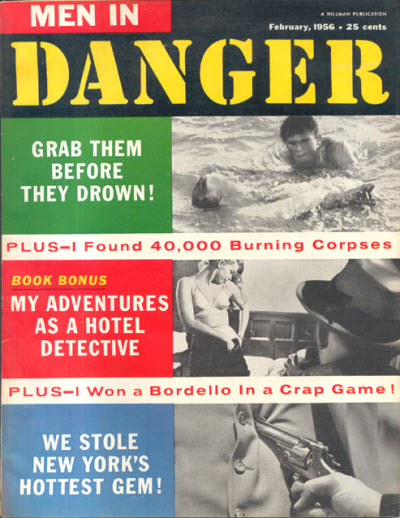 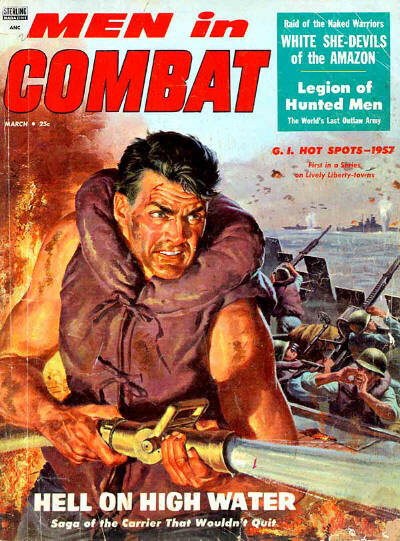 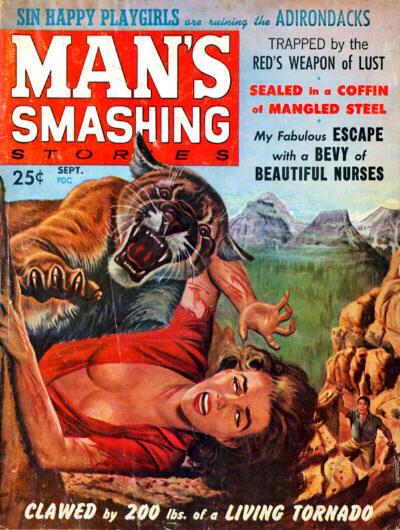 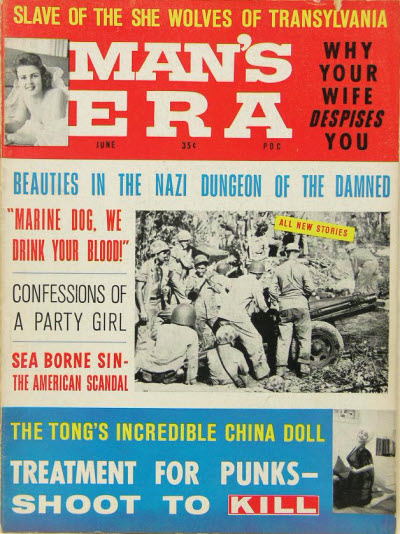 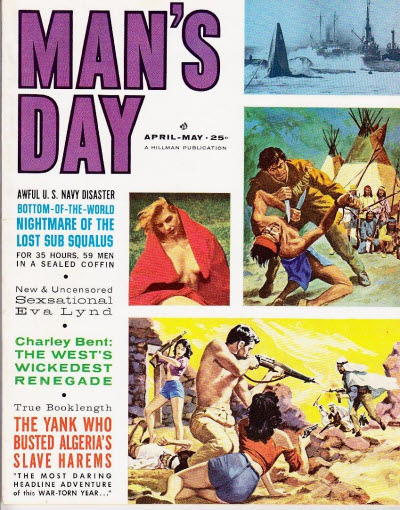 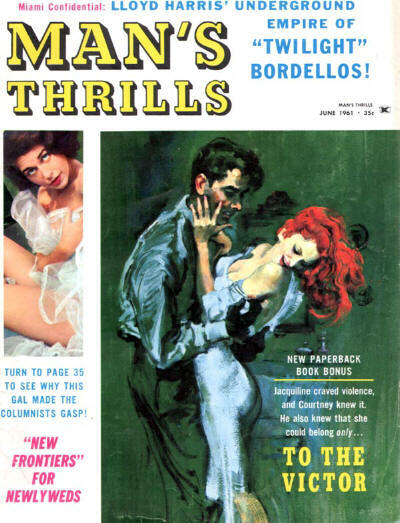 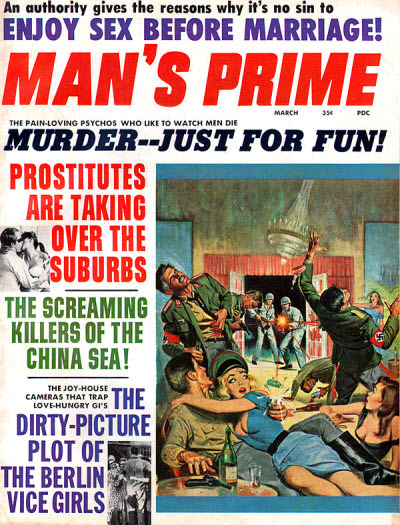 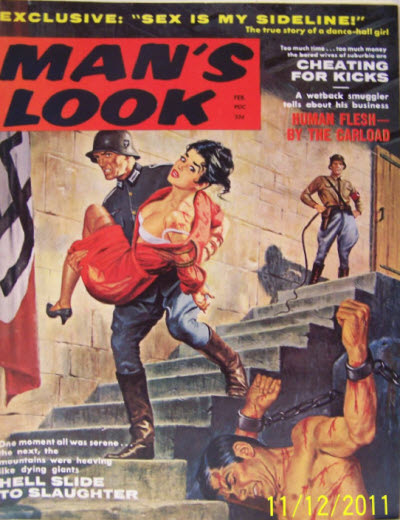 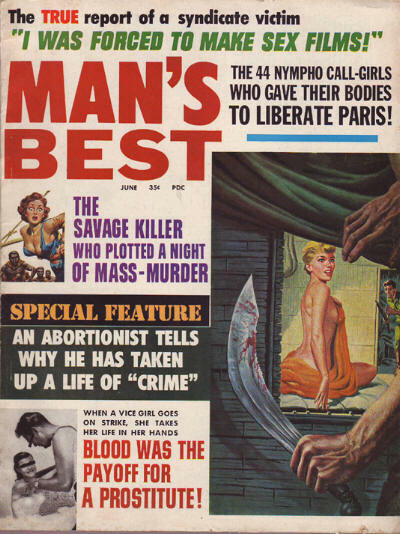 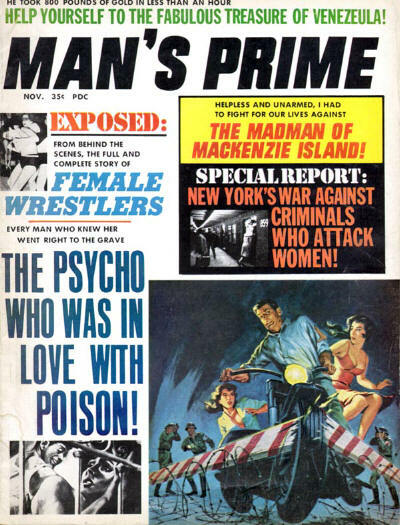 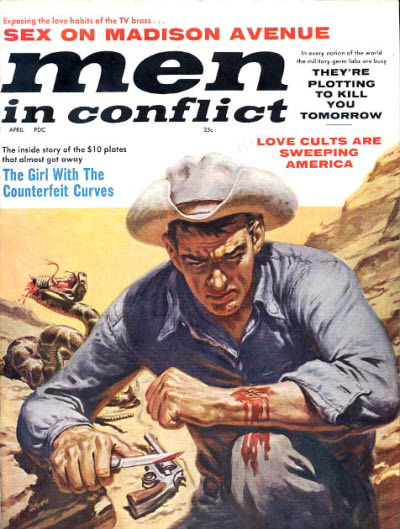 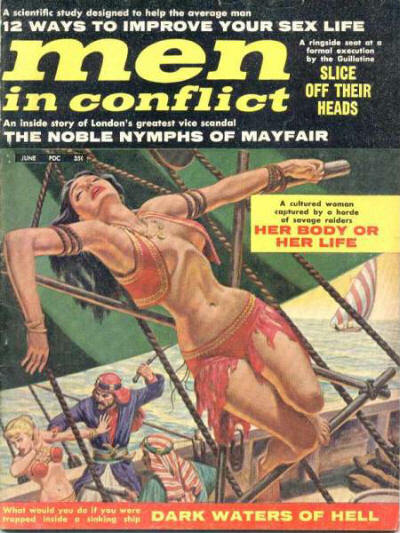 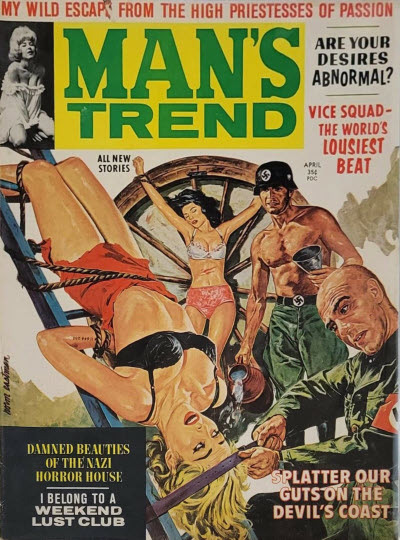 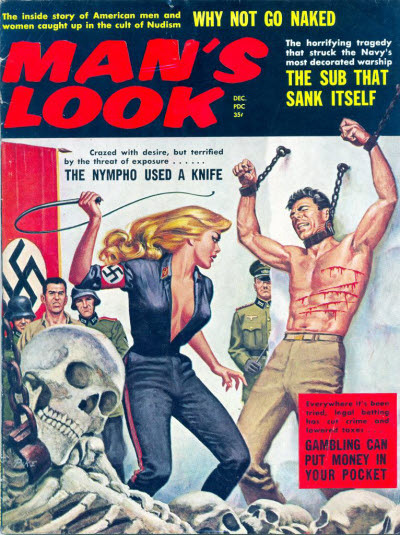 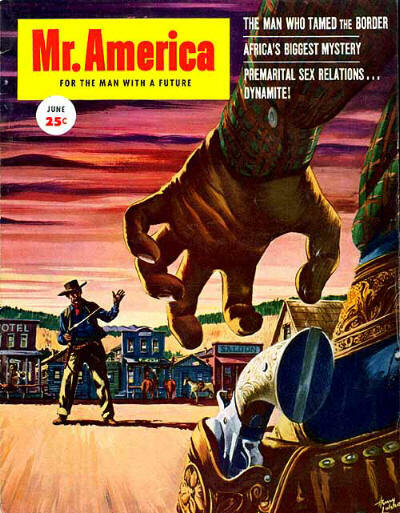 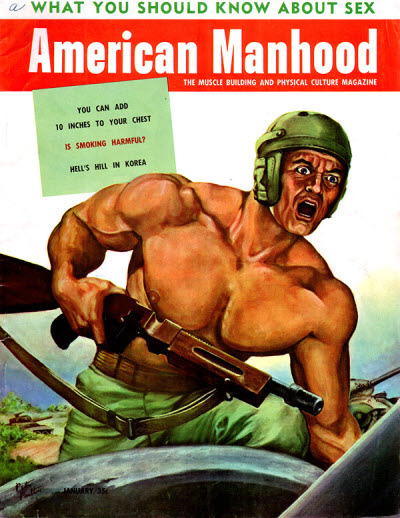 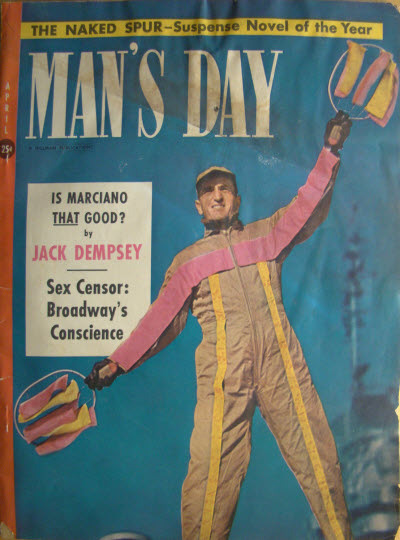 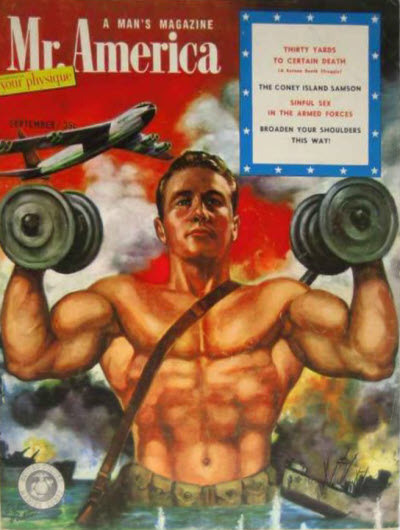 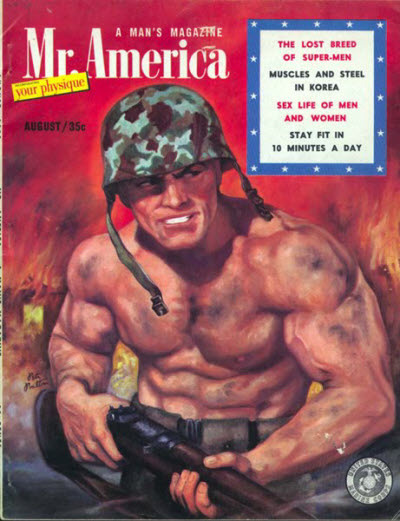 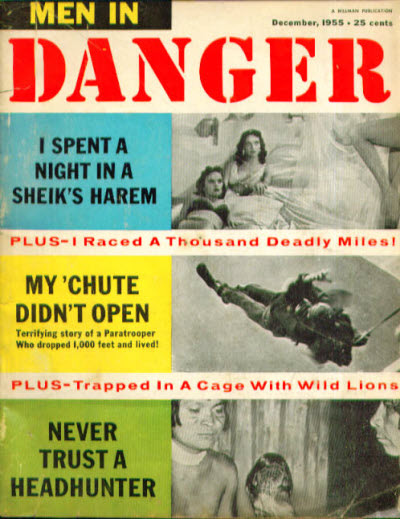 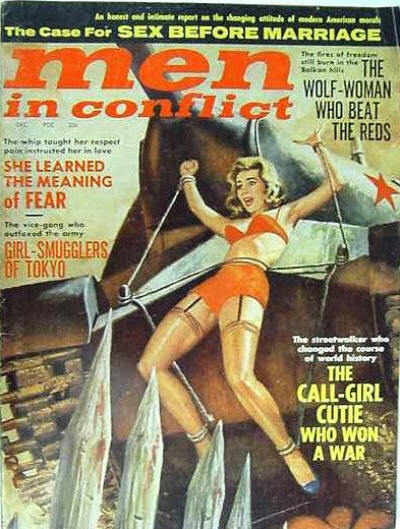 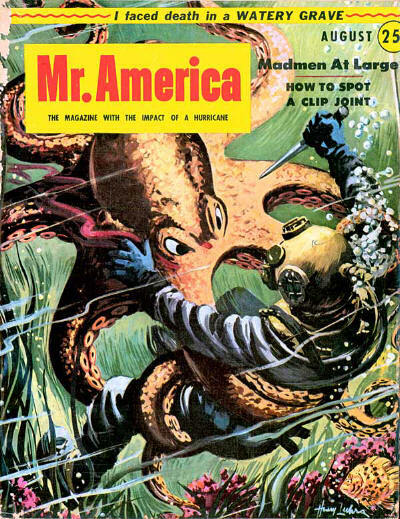 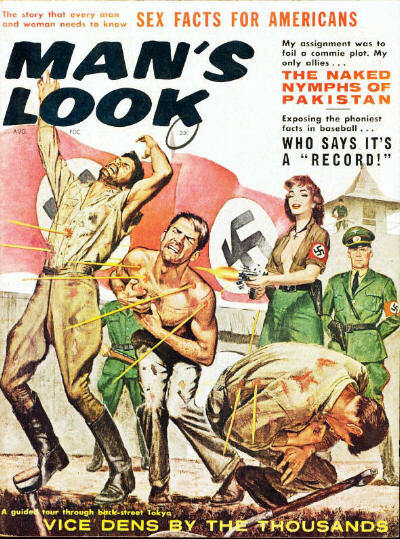 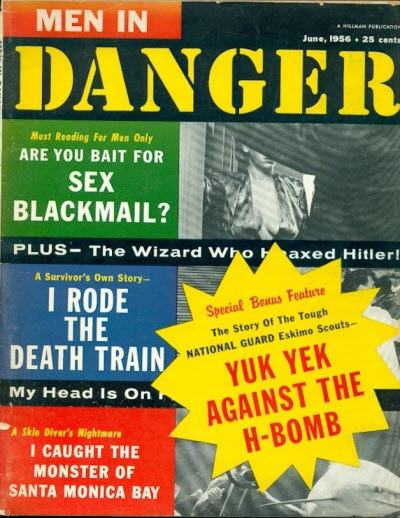 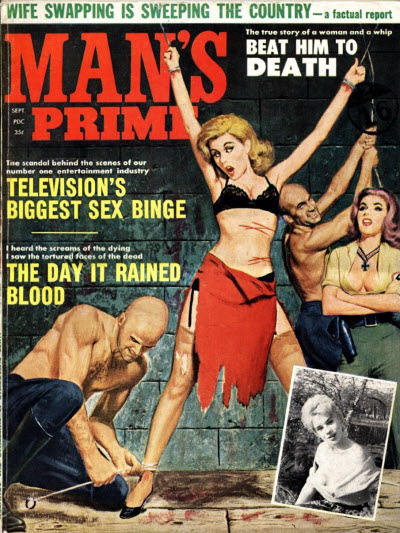 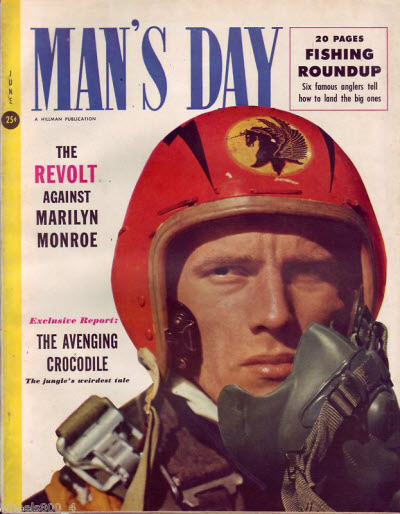 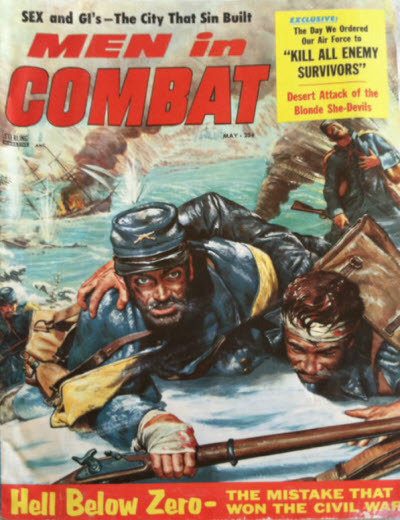 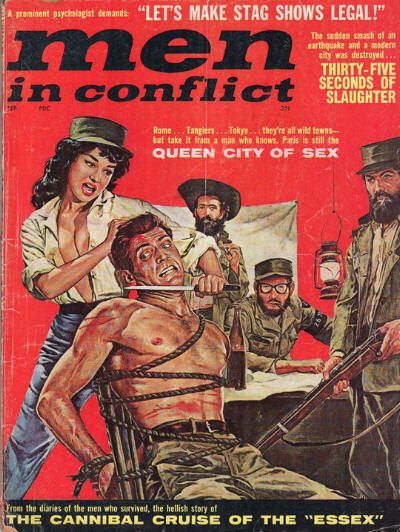 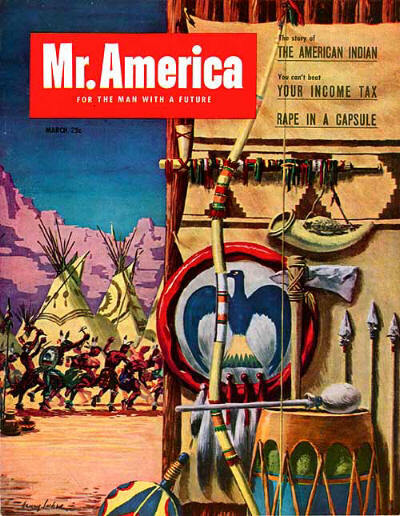 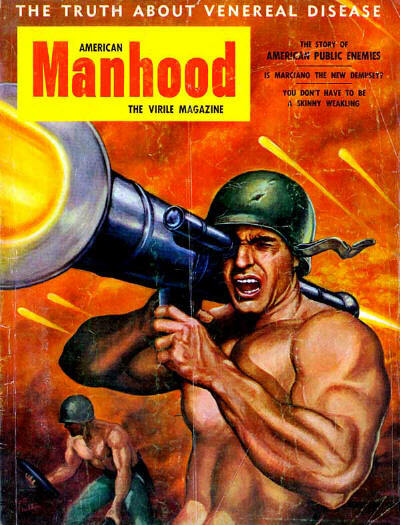 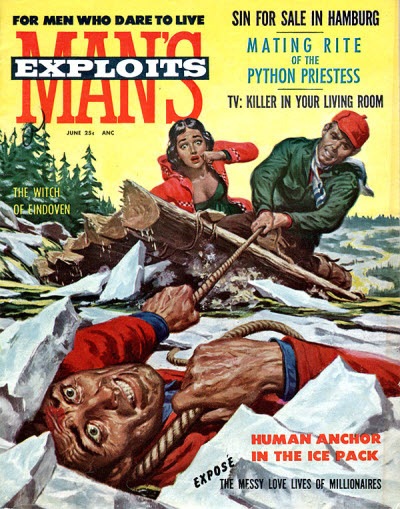 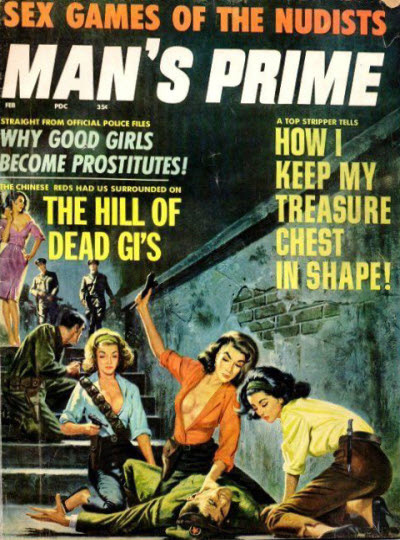 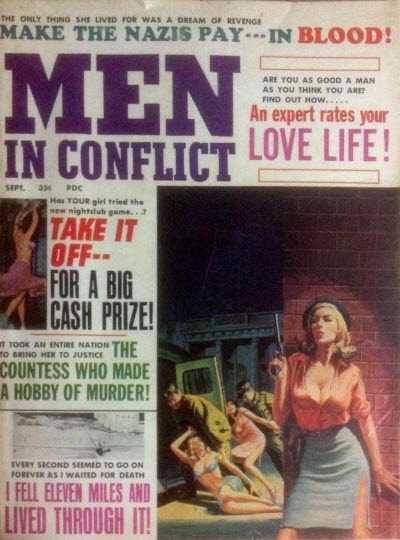 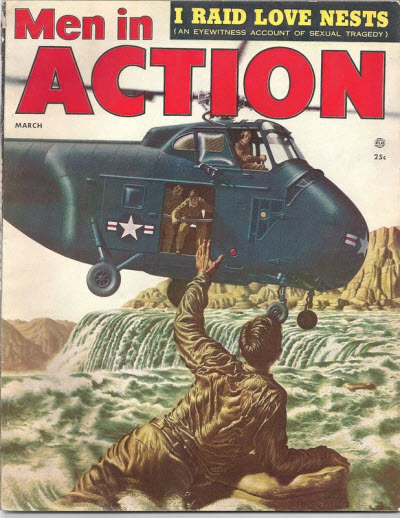 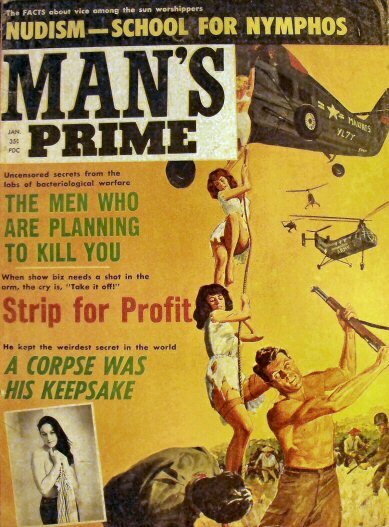 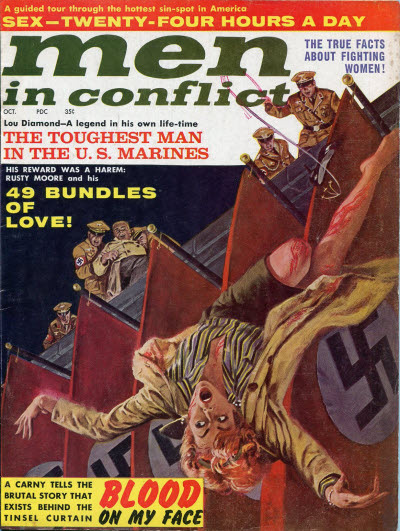 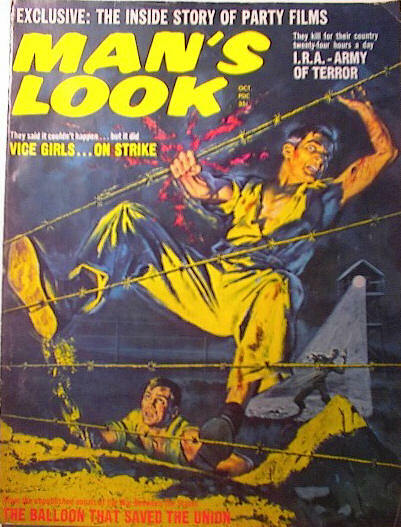 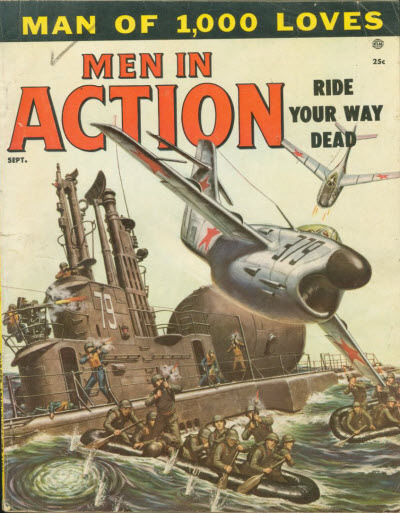 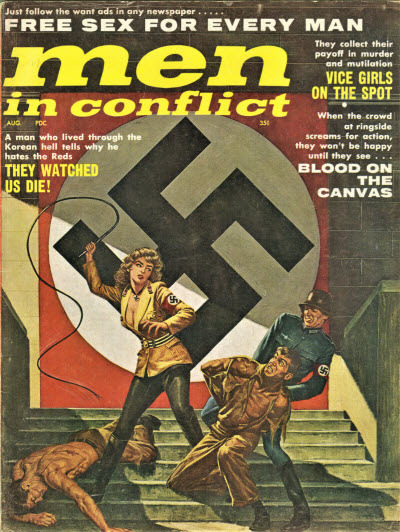 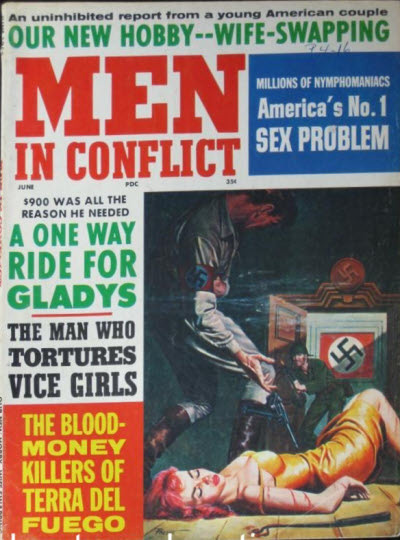 Confusingly it then split into two magazines, American Manhood which continued the issue numbering of the former magazine but ran only for a further 7 issues before folding, and a new Mr. America which restarted at v1#1 but only ran for 5 issues before reverting to being a body-building magazine with no fiction.